Understanding the concepts of multiple intelligences, learning styles and personality traits helps us to better understand our own strengths and challenges. Gardner’s Theory of Multiple Intelligences gives us some insight into the ways we interact with the world. Take this quiz to learn more about which of the nine “intelligences” best describes you. 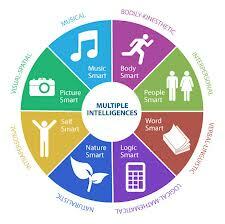 To learn more about Gardner and Multiple Intelligences visit his web site here. Edutopia also has a quiz to help you identify your learning style based on this theory. 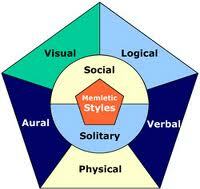 Learning Style based on Jung’s Theory of Personality is another way of looking at your unique personality style and has evolved into the Myer’s Briggs Type Indicator. To learn more about these 16 distinctive personality types visit their site here. PyschCentral has a variety of tests and quizzes including a personality quiz to help you better understand your individual differences, and to screen for possible mental health issues. Have fun learning more about who your are and how you learn and engage the world. This entry was posted in Learning and Personality Styles, Uncategorized. Bookmark the permalink.